It’s time to declare war on New Zealand flatworms – total war. For me, they have replaced slugs as public enemy number one. Slugs only attack some of the crops we grow. NZ flatworms threaten to annihilate our earthworms. They are also as ugly as sin and ooze evil from every pore. There can only be one plotters’ response – EXTERMINATE! expert restorers of damaged or neglected soils. Earthworms are the good guys and our friend’s enemies are our enemies. 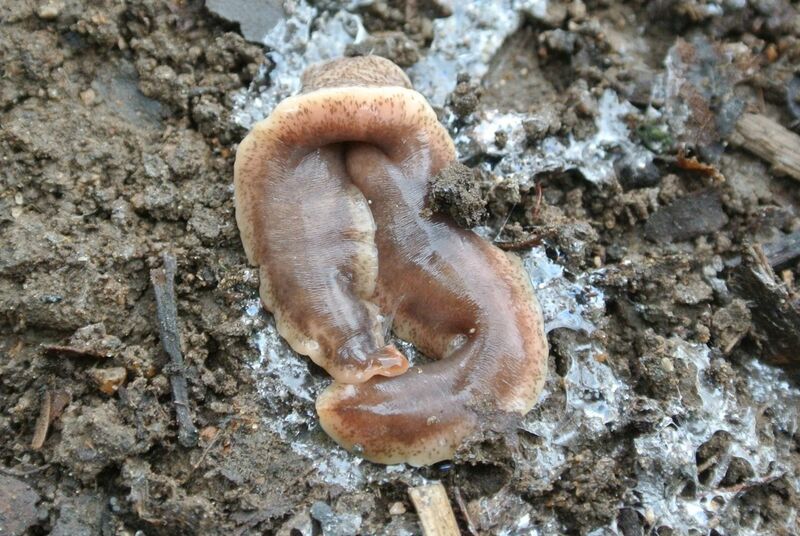 Secondly, research shows that some modern practices and tendencies in plot management seem to favour the NZ flatworm. For example, I have started to use plastic membranes and carpet as weed inhibitors and winter soil protectors and these are known to encourage flatworms. It seems unlikely that we will ever be able to completely defeat and remove our flatworms. Recent Aberdeen University research reports (links below) show that flatworms are present on 70% of our plots and 90% of Slopefield’s plots are infested. However, there are lots of actions we can take to reduce flatworm numbers. This may tip the balance back in favour of our earthworms. When our plots were surveyed by researchers they found that flatworm refuges were found on many plots. Eighteen plots had a small number of refuges; 14 plots more than a small number; 14 had many refuges and only 1 was refuge-free. The number of flatworms found increased with the number of refuges and carpet was found to be the worst source of flatworms, followed by plastic, fabric, stones and wood in that order. So what is to be done? In the first instance, I am going to stop using carpet to suppress weeds. I am going to do a big Spring tidy up, removing clutter. 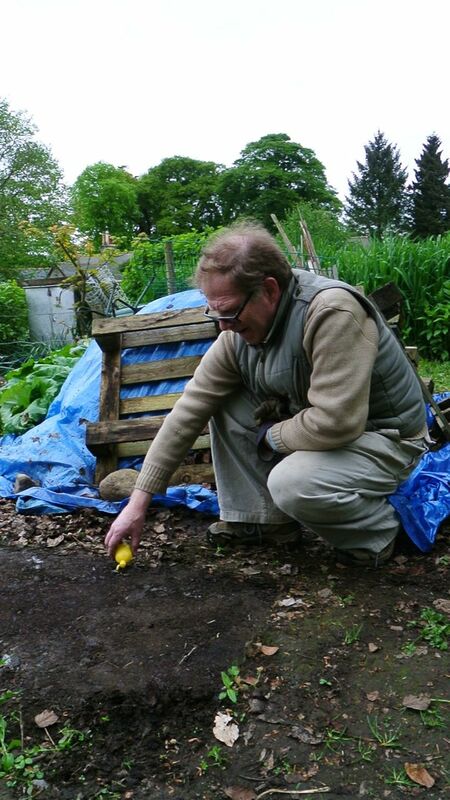 I am going to set my flatworm traps and check them regularly. I already keep a lemon squeezy on site. I should also replace my central slab path (built up over many years as free slabs became available) with a grass one, but this is a big job and a sore one. As a new plotter this is very timely advice. Removing the path is a dilemma, a place to change boots and keep feet clean or …..